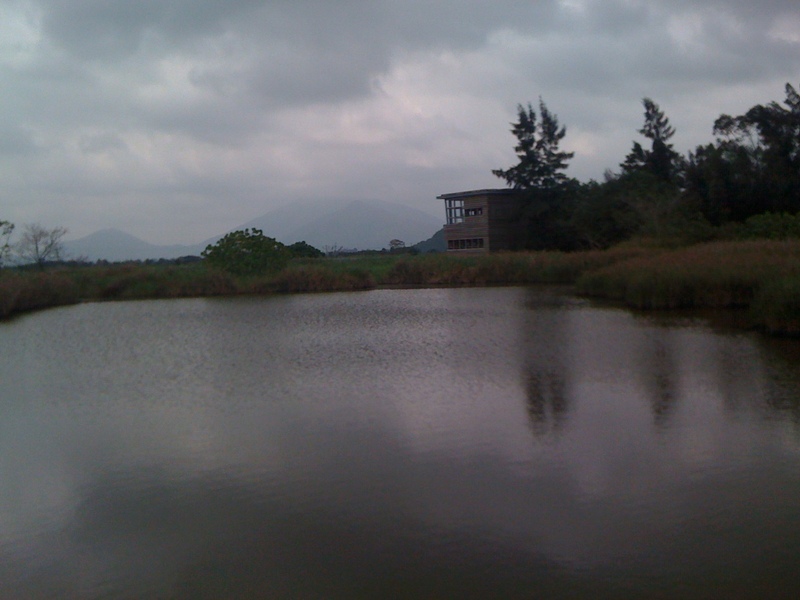 Last Thursday I went to the Hong Kong Wetland Park, which is a huge natural wetland situated adjacent to the border between Hong Kong and Mainland China. The Park is home to thousands species of fishes, water animals and insects and birds. It also provides a transit sanctuary to, may be, millions of migrating birds en route to the South before the dawning of the winter. On that day, it was cloudy, warm and humid, not a good day for a trip of such sort. However, a day away from the hectic city life of Hong Kong was a bliss anyway. I enjoyed it very much. As Hong Kong was turning into Spring, I could not see too many birds at the Park. I was told by a guide at the Park that the best time for birds watching there were the months of October or November each year. I took some photos with my iPhone, coupled with the cloudiness on that day, which photos did not do justice to the Park and me. 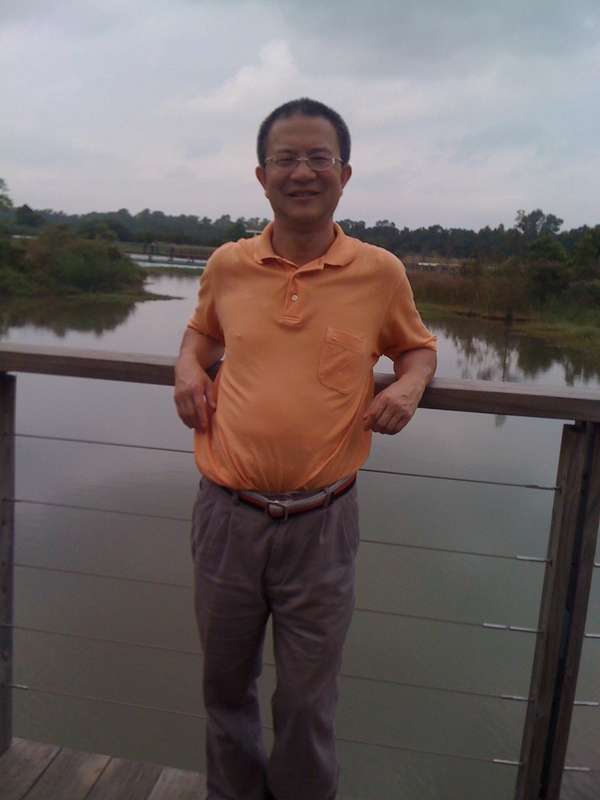 Please read about the Park in English, Spanish and Chinese. 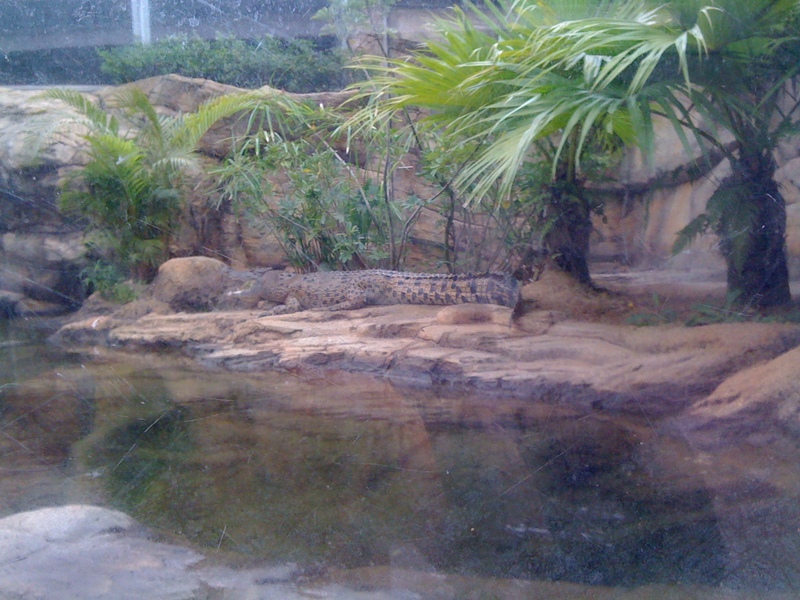 I also saw Pui Pui, the crocodile which enjoyed celebrity status when it was captured in 2004 (see photo above). Please read about the story of Pui Pui in English and Chinese. ¡Hola Brandon! Como lo mencionas, está nublado y casi no se aprecia el lugar. ¿Tú tomaste la segunda fotografía? Salió muy bien. ¿Regresarás al parque? ¡Hola Cesar! La tomé. Me gustaría regresar en octubre o noviembre este año cuando hay más aves.